committed, citizens can change the world. Below are listed some things we all can do daily ( and/or do much better ) toward helping foster a greater measure of Right Human Relations with all of our relationships. We are about promoting goodwill in a systematized and practical manner. Those men and women of goodwill that have and will join in this project are individuals from all walks of life, from places all around the globe. Some of us are still filled with exuberance for living in this world. Others are tired and a little dog-eared if the truth be known. And then there are those of us that are just plain weary and well worn. Together we present a strong cross section of society. Each and every one of us want to make a difference...a contribution if you will...to the betterment of humanity...to a more peaceful and non-violent world. This can and will be achieved through the power of goodwill. We are male and female. We come from different backgrounds. Our skins are various shades of the same color - the defining color of Love. We have a wide variety of beliefs, customs, religions, political affiliations, likes and dislikes. We are single, married, with children, without children. We are young and we are old. For all of our personal differences we are One family. Within us burns a fire of divine proportion. It fuels our inspiration. It heightens our aspirations. We believe in the innate peaceful nature of man. We believe that humanity, with all of its diversity, can live in a world of peace. We believe that promoting a conscious practical goodwill effort will benefit everyone we come in contact with in our daily lives. We do our best to 'walk the talk!' We stand together, united in this effort. 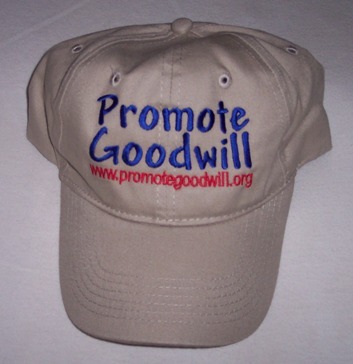 Please join us in promoting goodwill in your area. 59. "Let thy soul lend its ear to every cry of pain like as the lotus bares its heart to drink the morning sun." 60. "Let not the fierce sun dry one tear of pain before thyself hast wiped it from the sufferer's eye." 61. "But let each burning human tear drop on thy heart and there remain, nor ever brush it off, until the pain that caused it is removed." Copyright © 2007-2010 - All Rights Reserved.